We don’t have kids, and it doesn’t look like we will have any anytime soon. Not without a court order, or some sort of divine intervention we won’t. We have to borrow other people’s kids. My Godson Winston is on spring break in Lubbock, so we dragged him to the big city to spend a few days. He’s 17 now, and I know that his visits will be less frequent as he gets older and has less interest in hanging out with a couple of “old gays”. Jamie’s Nephew Juston, on the other hand, is only 9 so we have a few years of him left. 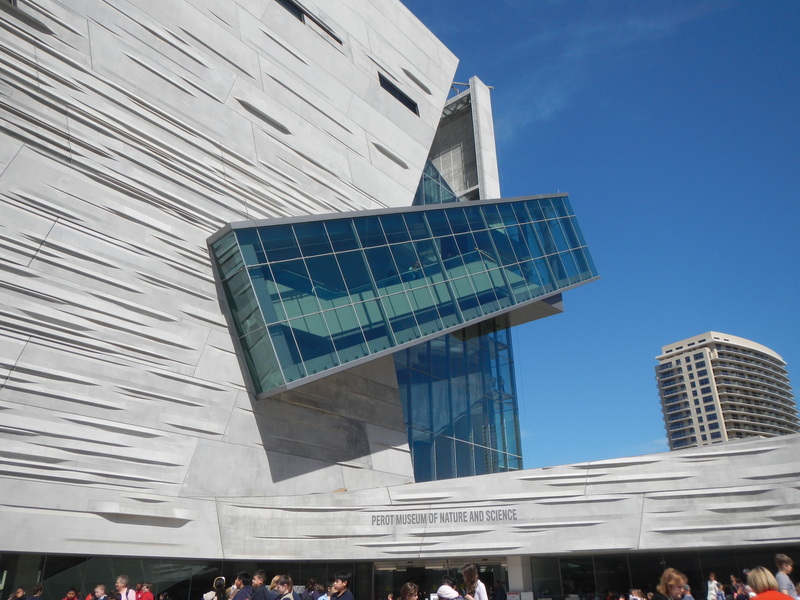 We took the boys to the newly opened Perot Museum of Nature and Science. 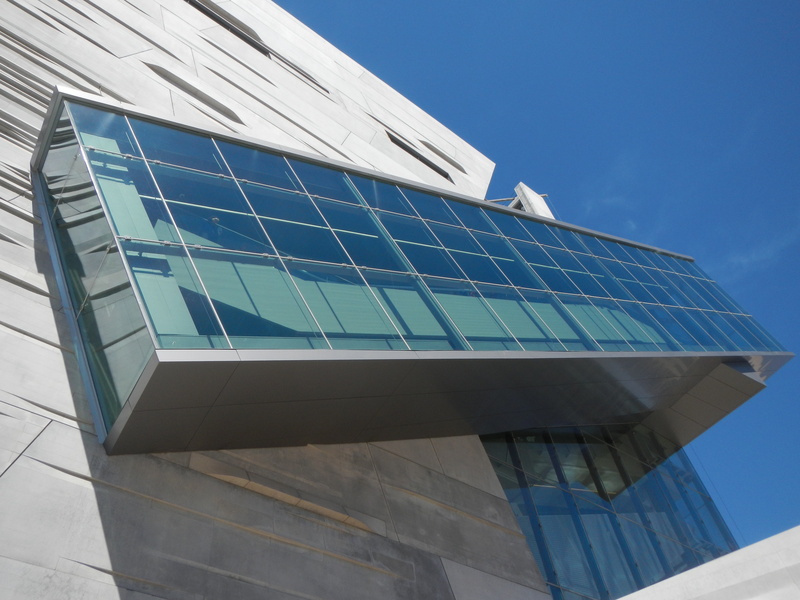 The hovering escalator is the most distinctive feature of the building. 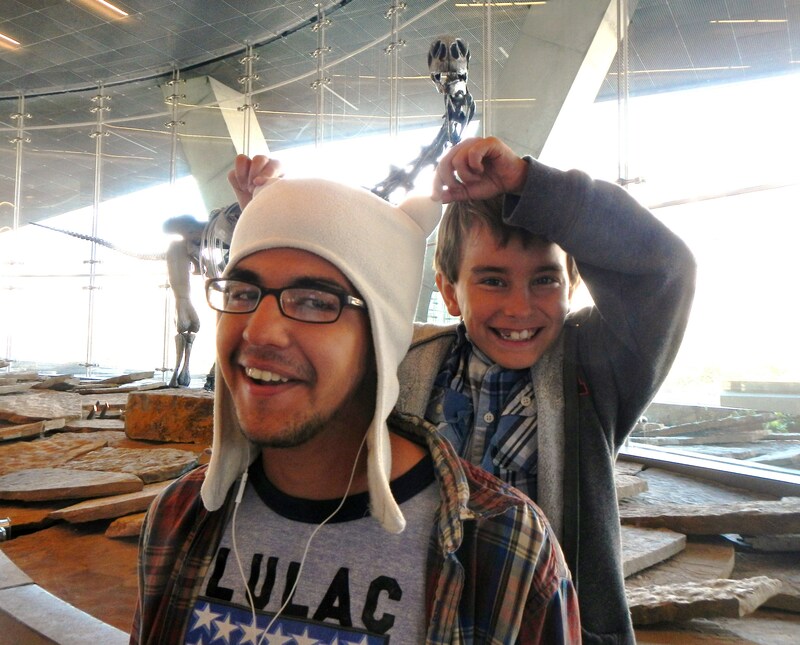 Winston in the “Max from Where the Wild Things Are” hat , and Juston wishing he were wearing said hat. 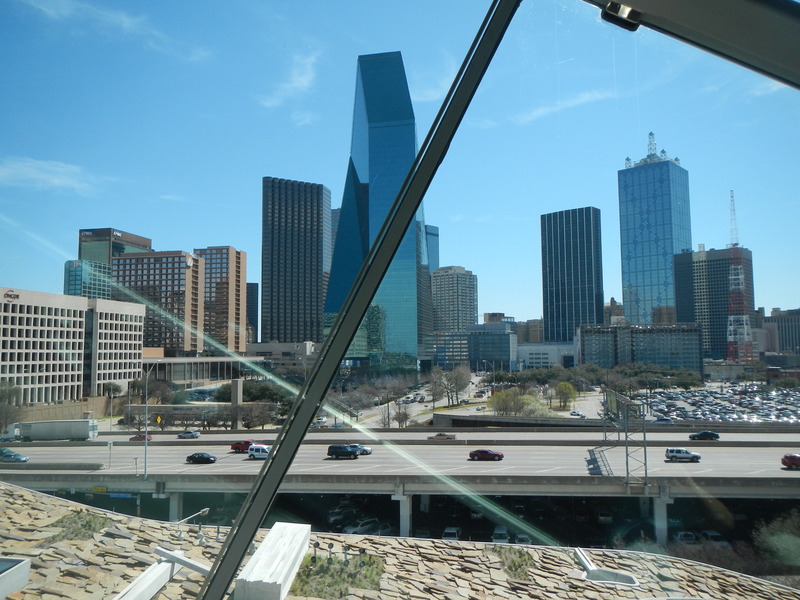 The view of downtown Dallas from the escalator. 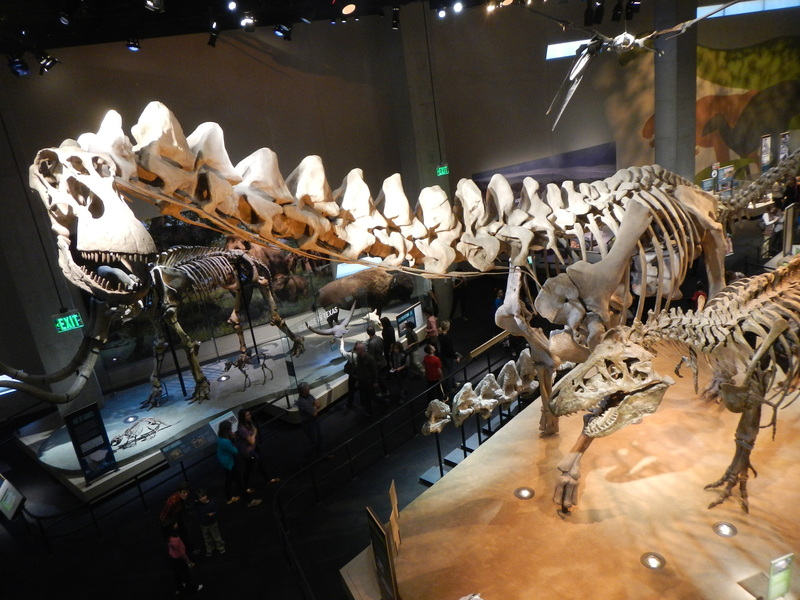 In the Life Then and Now Hall they have filled the place with fossils and remains…….. Many of which were actually found in north Texas. 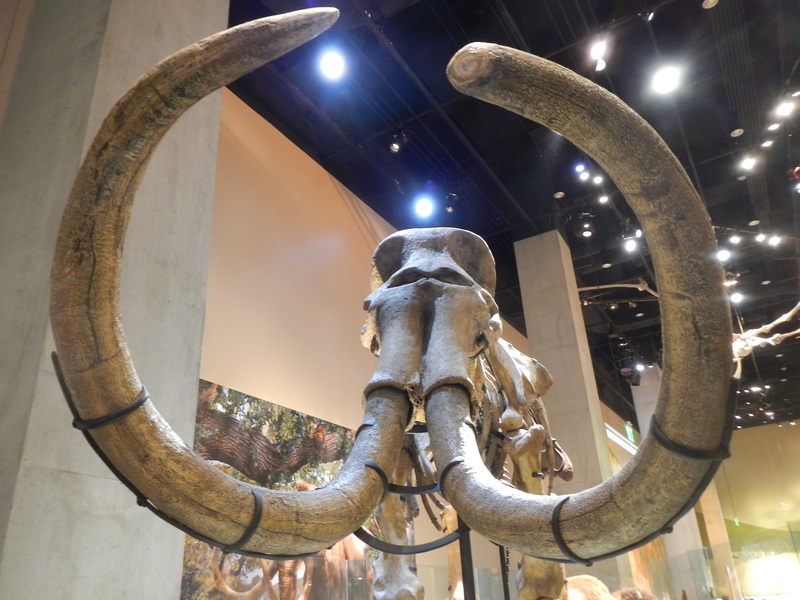 Hard to believe that these giant beasts once roamed Texas. Winston shares that same fascination for old dead things that I have. The Gems and Minerals Hall was amazing. 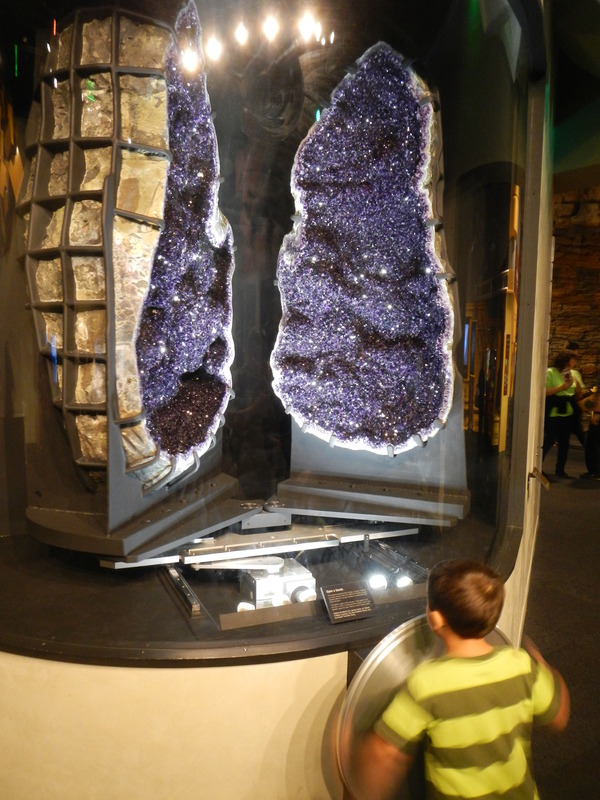 This “human-sized” geode was controlled with a wheel to make it open and close. 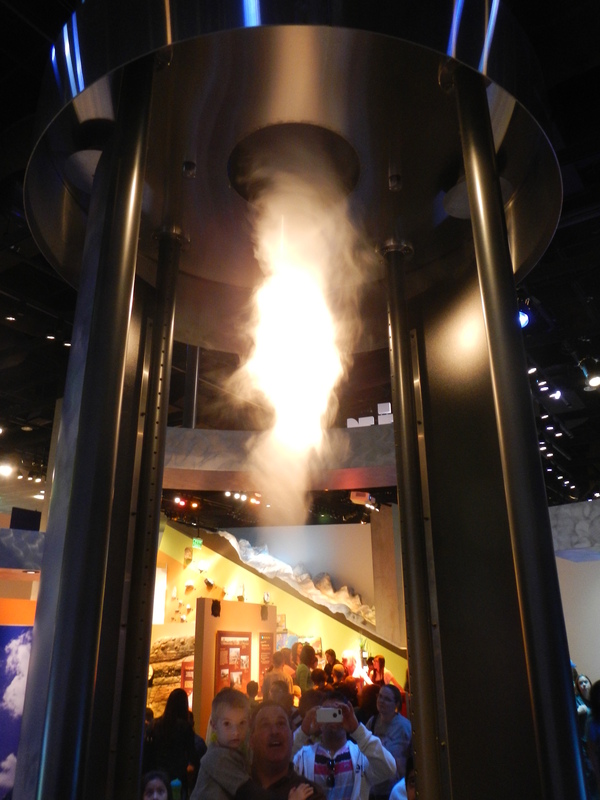 We all liked the tornado exhibit in the Dynamic Earth Hall. Although it doesn’t photograph very well. There was also an earthquake simulator that let us experience a 9 on the Richter scale first hand. 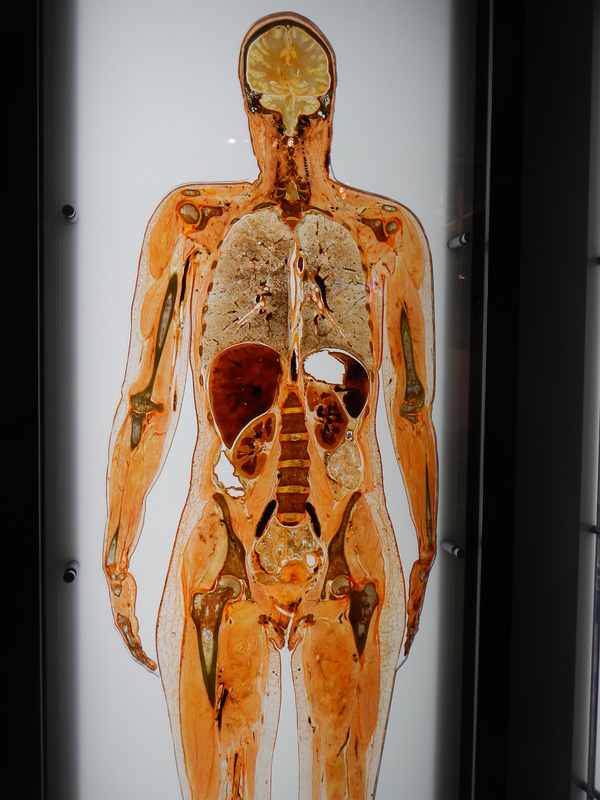 It was agreed on by all of us that the freeze-dried human slices in Being Human Hall were pretty disgusting. While the female looks kinda muscular, the dude seems a little out of shape. And what is up with the hump on the back? 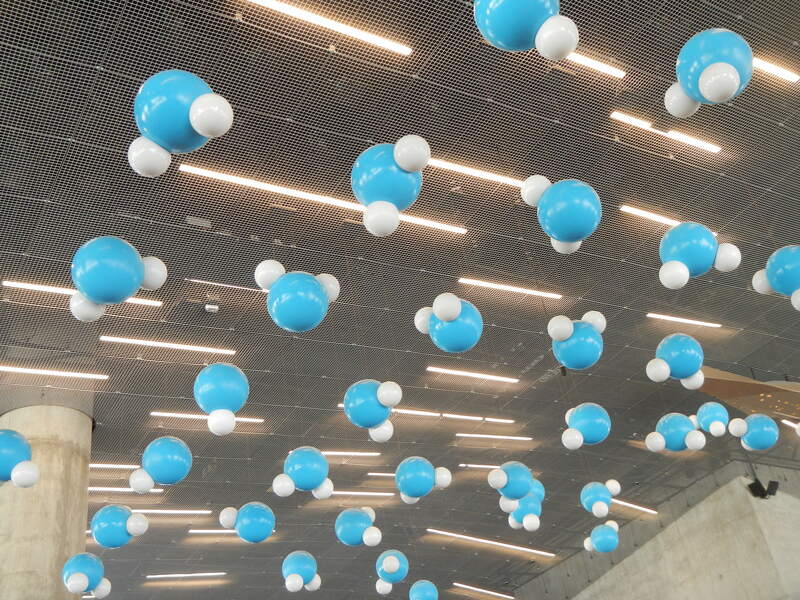 These “Mickey Mouse” shaped molecules hanging in the lobby were certainly fun. They would rise up in the air whenever someone walked under them. We made it a goal to run in circles under them until they were all moving at the same time. This is a tough place to visit. It was Tuesday, but still filled with people. The newness buzz keeps this place sold out every day. We thought ahead and bought tickets a couple of weeks ago. I’d advise the same of anyone else wanting to visit. 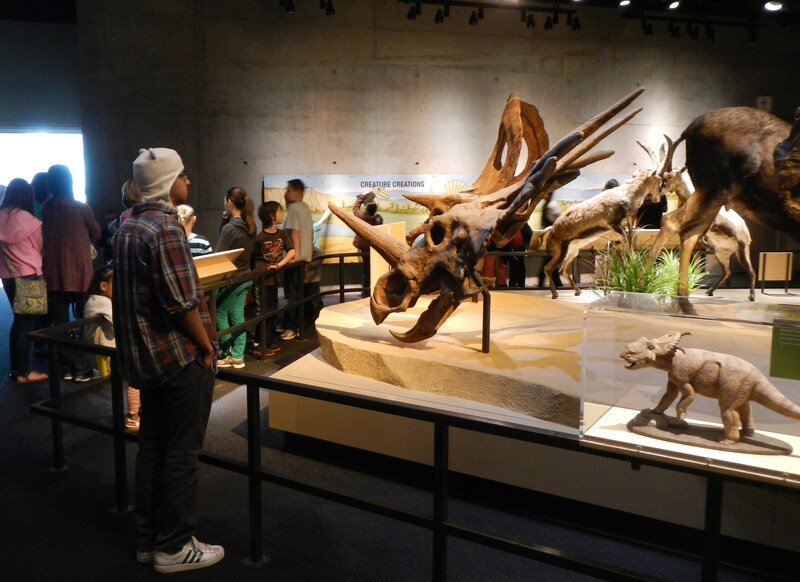 There isn’t really an order to the exhibits, so kids (and grown-up kids) are free to look and touch anything for as long as they wish. And trust me there are lots of things to touch. Starting at the top floor and working our way down, and opting out of the 45 minute movies, we spent about 3 hours total. …and 3 hours was plenty of time. 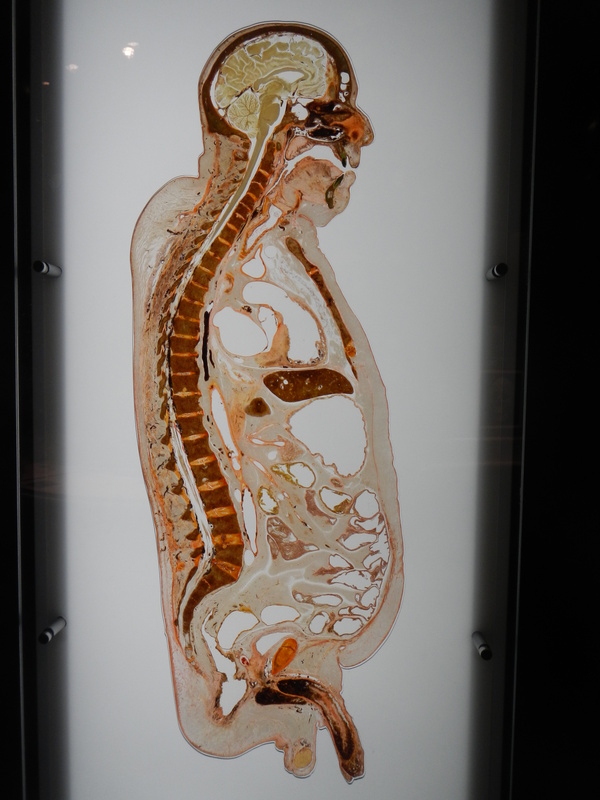 Some of us ……. 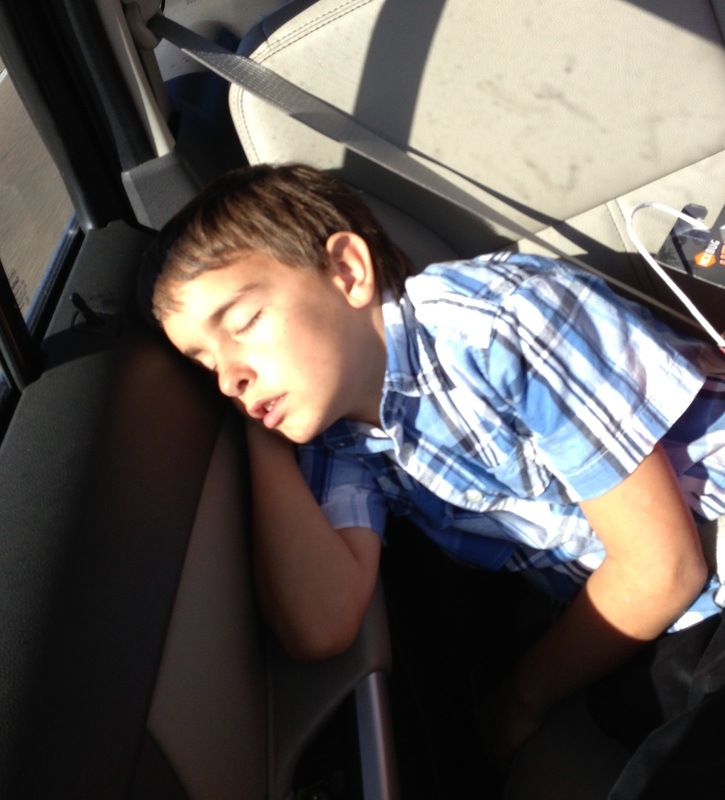 even fell asleep in the car on the way home. ← A Few Dart Boards More….. I am definitely going to visit and have heard how much fun this museum is! My bf and I moved to the area about 2 months ago and we drove by the museum more times than I can count and everytime we wondered what the building with the glass escalator was for 🙂 Can’t wait to see for myself! That’s an adventure time hat.